International brewer AB InBev has launched “Beck’s Blue Monday” across the UK, aiming to cheer up the gloomiest day of the year by offering consumers a free Beck’s Blue at selected pubs and bars. The campaign runs 21 – 27 January at over 1,000 Mitchell and Butler locations, including All Bar One, Nicholson’s, Vintage Inns and O’Neil’s, and aims to drive footfall during the quietest month of the year for trade. Typically falling on the third Monday in January, Blue Monday is claimed to be the most depressing day on the year. It is estimated that 4.2 million people are cutting out drinking in January this year; this coincides with a growing trend for drinking in moderation in the UK as a third of under-25s now say they are teetotal. Beck’s Blue is alcohol-free, and the campaign aims to get Britons out of the house and in to their local pub, reminding them they can still enjoy the pub without the alcohol. Last year AB InBev conducted research that found that 20 January was the day consumers are most likely to break their alcohol-free New Year resolutions. 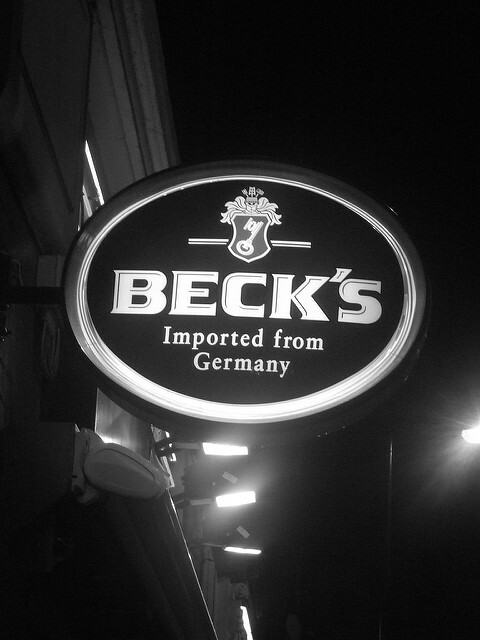 According to AB InBev UK, Beck’s Blue Monday will help drive consumers into venues in a challenging month for the on- trade where drinks-led businesses have to become more agile to maintain sales. The new campaign offers the opportunity to show a new audience the range of food, drink and activities on offer, increasing the amount spent and get new regulars.